Ahhh, a new year, a fresh start. 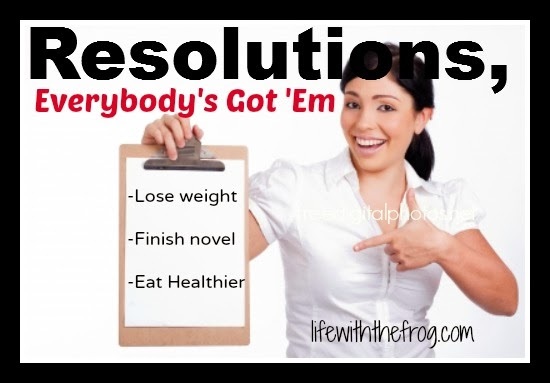 Resolutions? Yeah, I've got 'em. I do every year. This year, they are not much different - exercise more, sleep more, write more, eat better, be a better mom and wife. And a more urgent one: clean out and organize my house for our move! We are going to be moving hopefully by the beginning of August (or sooner) so it is imperative that I rid our house of the past 8 years' worth of crap that has been accumulating. But I digress. Resolutions, yes. We all have them, whether we call them that or not. Some people never make them because they believe they will just break them. Some people call them goals, some see them as "bettering" themselves. One person even made a "bucket list" of things she wants to accomplish this year. There are some people who occupy a different camp when it comes to resolutions. They believe that these are goals we should be striving for all year long - why wait until the new year to tackle them? Still others have said that only people who are unhappy with themselves make resolutions. For me, unfortunately, the latter is true. I am a person who is, regrettably, never happy with herself and always looking to do better and BE better so I feel happier. But that isn't something that is going to change within the span of a year or once a goal is accomplished. It's something that I am always going to be working on: the path to self-acceptance. Because, after all, that's simply what my resolutions strive to accomplish: being happy with who I am today, in this moment. And the reality is that no matter what I do, how much weight I lose, how many things I write, what I do for my family, to ME it will never be good enough. In short, it shouldn't matter what anyone else says about us - positive or negative. What matters is what we say and believe about ourselves. 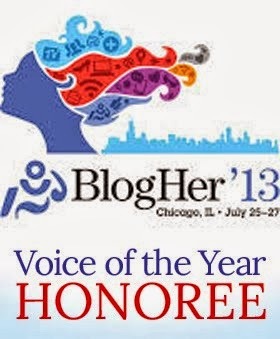 So what if some days no one is reading my blog or commenting on it? I love it, it's mine, and I take pride in it. Nothing anyone says - or in my case doesn't say - will change that. 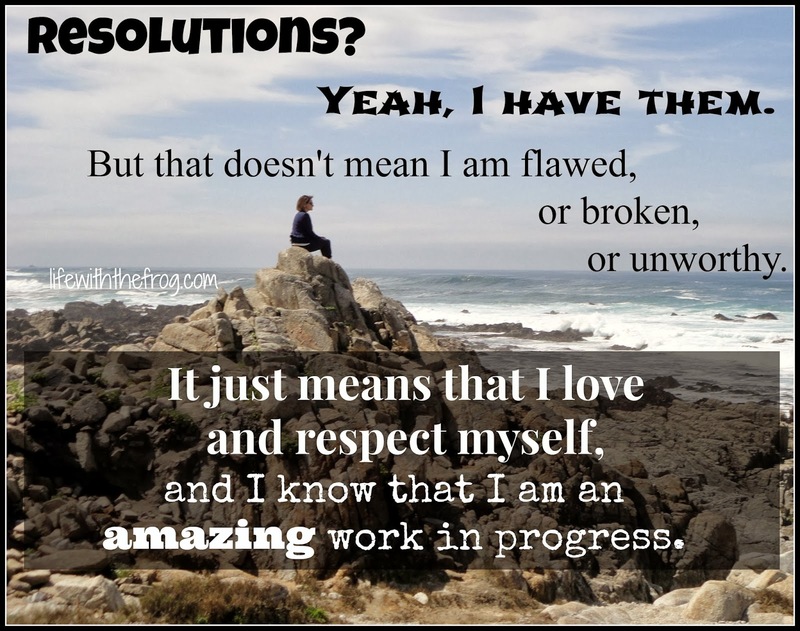 Just because I have goals for 2014 shouldn't mean that I am flawed. It should mean that I care about myself and want to make myself a better person for me and for my family. write more - work more on my Joey book. exercise more because I have been neglecting that. eat better rather than simply eating all the things! organize my house and rid it of unnecessary "stuff." be a more present mom and wife. I have more, but geez, there are only so many days in a year and hours in a day. Fortunately, for one of these goals, I am getting some help from an unlikely place. Although I have had an Amazon Prime membership for going on two years now, I just realized the benefit of their Instant Video Streaming. There is a plethora of exercise videos right at my fingertips! Anything I might feel like that day is right there for me to watch and use FOR FREE! If I feel like some weight training - BOOM, Jillian Michaels is there. Yoga? Holy cow - which kind? They are all there. Zumba, kickboxing, dance fusion - I can take my pick. What I like about this is that I can try anything I want without having an audience of people watching me (well, little people are watching me, but they are curiously supportive and complimentary). If you are like me and haven't been to the gym in a while, it's a safe and private way to ease back into exercise. I also don't have to drag my 2-year-old out into the freezing cold to go to the gym right now. AND I can find a new Thomas the Train video practically every day to distract said 2-year-old while I work out because Amazon Prime works on all our devices! An Amazon Prime membership is $79 a year (cheaper than a lot of gym memberships!) but you can try it for free for 30 days! That's enough time to get yourself jump-started toward your wellness goals. Plus watching movies and television shows for free or reading a book you have borrowed from the Kindle Owners' Lending Library is pretty fun, too, especially if you have to be on a treadmill inside because of the cold. Click here---->Join Amazon Prime - Watch Over 40,000 Movies or the banner to the right to get started (and note that, of course, these are affiliate links and I will get some pittance of a sum from Amazon). Okay, so we all need a little help sometimes in order to reach our goals. And the fact that we have resolutions at all doesn't make us bad, unworthy, flawed people. It makes us strong because we are willing to see that self-improvement comes from within and that life is a constant journey toward that self-improvement. So now, I'm going to stop blathering and get started on my 2014 self-improvement journey.